Individuals in Oklahoma who have a criminal record often have a difficult time finding a job or renting an apartment due to the results of a background check. However, there is a process called expungement that can be used to seal some types of arrest records. 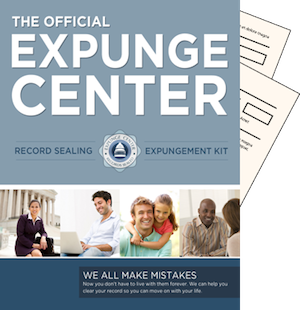 If a person has been arrested in Oklahoma and has been charged with a crime, then our expunge record Oklahoma kit will help you navigate the complicated, and often, stressful process. There are three places where an individual’s criminal file is found. One place for a file is with the police department that performed the arrest. Another place for a criminal file with a city court or at a state district court. This is where the person was arrested. The third place for a criminal file is with the Oklahoma State Bureau of Investigation. If a person has completed a deferred sentence, then the file of the deferred sentence can be sealed by a judge. One thing many people do not realize is that the arrest and OSBI file still exist. These will appear when an employer or other entity performs a simple background check. The process to expunge records in Oklahoma requires retaining the help of an experienced attorney. A Petition for Expungement needs to be filed with the court. This is the first step of the process to remove or seal a criminal file so a person is not penalized unfairly from a background check. One way a person benefits from expunging a criminal file is not having to be concerned about putting “no” for an application question that asks about criminal convictions or arrests. The sealing of a criminal file means that a person will no longer be required to acknowledge a past arrest or criminal conviction. A new law was passed in Oklahoma back on November 1, 2012 that changed the criteria for expunging criminal records. Previously individuals who completed a deferred sentence longer than one year could only have their court files sealed. Their arrest and OSBI file remained intact. New laws recently passed in Oklahoma now mean individuals are eligible to have their entire criminal record sealed. Individuals who have successfully completed a deferred sentence for a felony offense can now seek to seal their criminal file instead of getting a pardon from the governor. The eligibility of a person for the sealing of their criminal file is based on a few factors. Individuals will need to wait for at least ten years after the completion of a deferred sentence. There can also be no pending charges or any other arrests. If a person meets this criteria, the sealing of their criminal file s is possible. A person who has been convicted of a violent crime does not have this option. The sealing of criminal files is an option for anyone who has been pardoned by the governor. This only applies if the pardon was for a non-violent crime, the conviction was at least ten years ago, and an individual has no charges that are pending. If an individual meets this criteria, then they can see if their file can be sealed. A person who has successfully completed a deferred sentence for a misdemeanor offense has the option to seek the sealing of their criminal file. This option will only apply when a deferred sentence has been expired for at least two years. There must also be no other convictions or pending charges. If there has been a period of ten years since a conviction for a misdemeanor, then an individual can look into an expungement of their file. The only requirement is not having any previous convictions or a pending criminal charge. Filling out our eligibility form will ensure that the expungement kit will fit your case before ordering.